The all new VECO Solo is a cut above the rest. This kit has everything you need to enjoy next generation vaping in the palm of your hand. A unique and creative design that ensures a consistent smooth airflow. 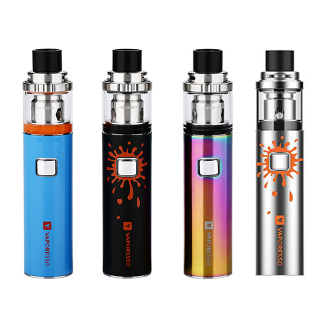 The Vaporesso Veco Solo Plus Kit combines all the great features of the Vapor Pen and All-in-One kits, with a detachable, leak-free tank on a base that makes refilling a breeze. Compact, sleek and elegant, you'll barely notice it's there. Vaporesso's Eco Universal Coil makes changing coil heads more convenient, and a leak free removable tank makes refilling your VECO Solo completely painless and hassle free.